The hardy forms available commercially belong to a handful of species, with a few hybrids. Please see our current price list for those varieties available in substantial quantities at the moment. 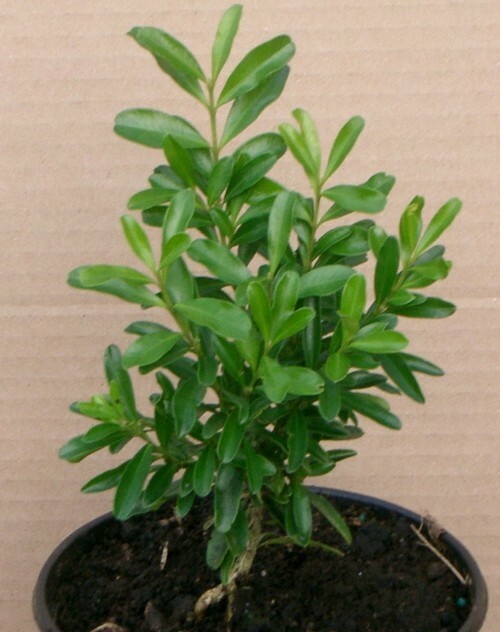 Buxus balearica is the largest leaved box plant commonly available, with leaves 25-45mm long. It is a native of the Mediterranean region; is hardy down to about -12oC; and is commonly known as Balearic, Spanish or Giant Box. The large wild trees, up to 10m tall with a girth up to 1m, were harvested for timber in the 19th century. 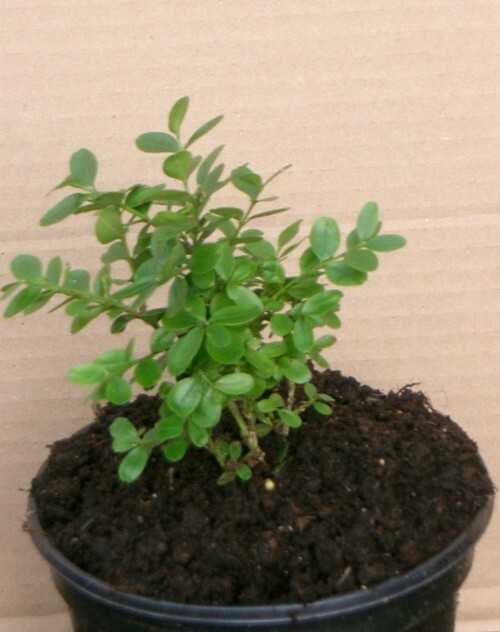 It is suitable for growing as a specimen shrub or small tree. Buxus harlandii was discovered growing wild in China 150 years ago by Dr Hance. It is a distinctive flat-topped vase-shaped dwarf shrub. The long narrow leaves are 30-37 x 10-19 mm and the annual growth rate is about 70 mm. 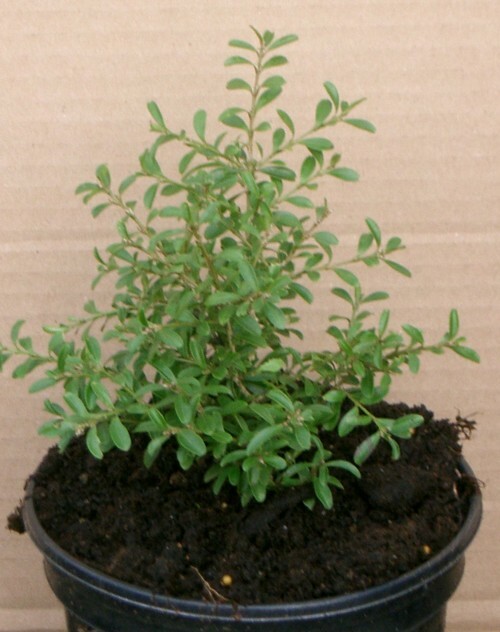 This plant is suitable for use as a dwarf specimen shrub. 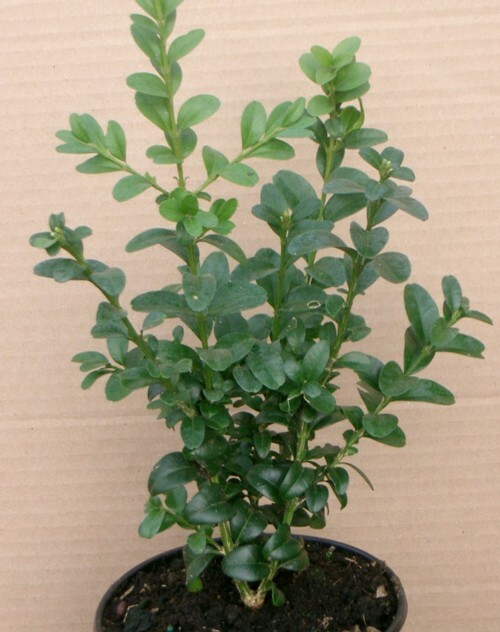 Buxus microphylla originated in the far East centuries ago. It is not known in the wild. 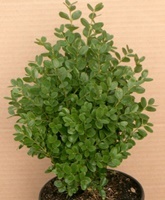 The numerous cultivars are dwarf shrubs with small rounded, blunt tipped, medium green leaves. It is very cold hardy. 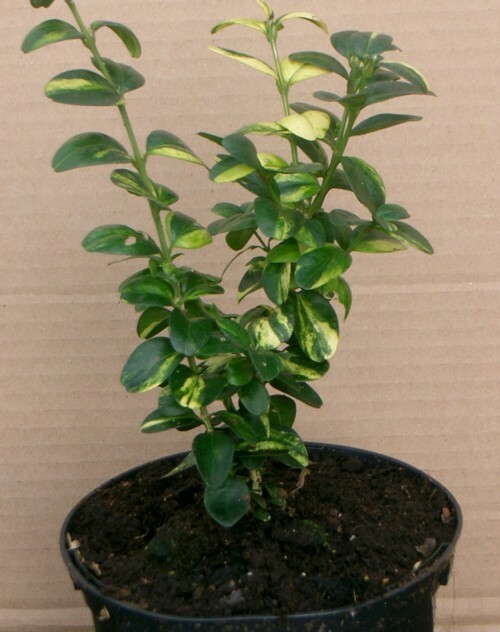 Buxus microphylla 'Golden Triumph' has a compact growth habit and small to medium sized gold variegated green leaves. This makes it suitable for low hedges and golden topiary balls. Buxus microphylla 'Golden Triumph' is available as hedging plants to purchase on line. It is also available as clipped balls. 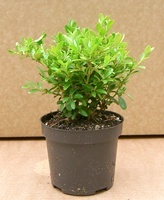 Buxus microphylla 'Herrenhausen' has a low spreading habit and very small green leaves. This makes it suitable for very low hedges and very fine topiary balls, as well as a ground cover shrub. 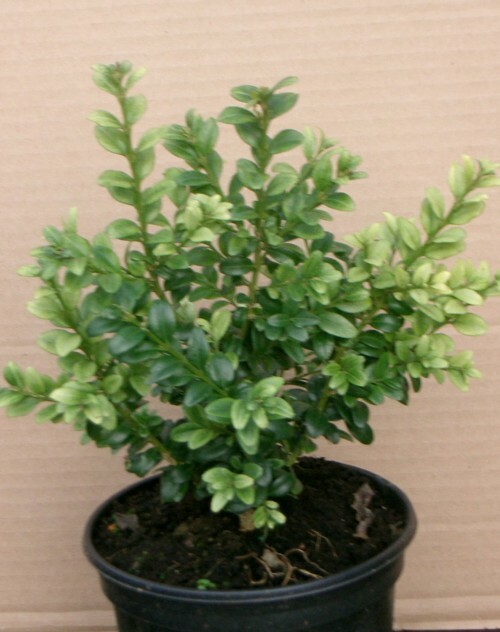 Buxus microphylla 'Herrenhausen' is available as hedging plants to purchase on line. 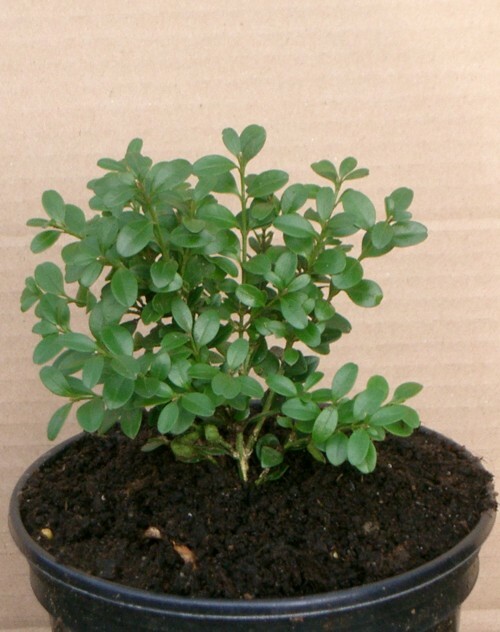 It is also available as approximately 30cm clipped cubes, which can be used as topiary or for instant hedging. Buxus microphylla 'Henry Hohman' forms an open spreading plant. 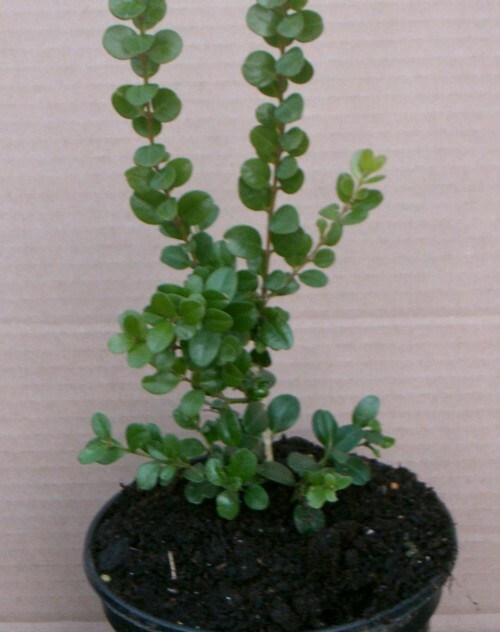 It is a stronger growing sport of buxus microphylla 'Compacta', with an annual growth rate of 50-100mm. Its open habit makes this a suitable plant for a ground cover shrub. Buxus microphylla 'John Baldwin' has an attractive and unique dense vertical growth habit. The bluish-green leaves are 16-19 x 6-8 mm, and the annual growth rate is 50-60 mm. 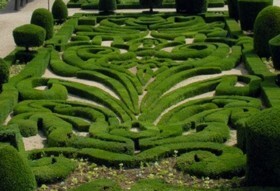 It is useful for hedging, as an attractive focal plant or for topiary. Buxus microphylla var. japonica grows wild in the mountains of Japan, and is known as Japanese box. It has a highly variable growth habit, from procumbent to upright. The foliage is generally green-yellow, and is not so dark as buxus sempervirens. It is generally fast growing and forms a quite open foliage canopy. It responds well to shearing, to form a more dense plant. The leaves can turn reddish is sunshine during frosty weather, but soon become green again in the spring. Buxus microphylla var. japonica 'Faulkner' is a widely grown plant, with an attractive low compact spreading growth habit. The emerald green leaves are 18-20 x 11-15 mm and the annual growth rate is 80-130 mm. This plant is good for hedging and for topiary, especially balls. 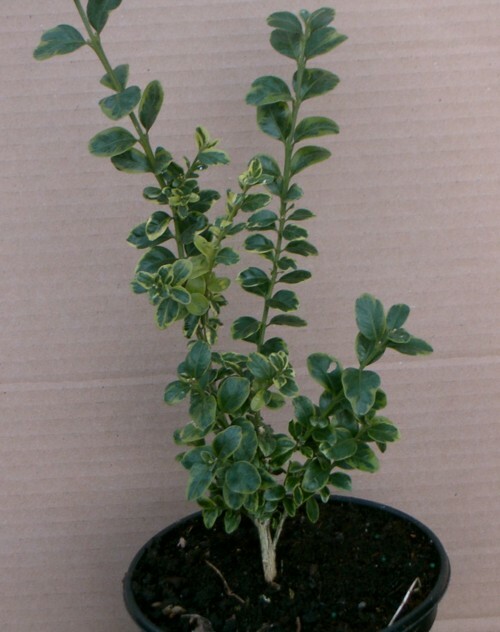 Buxus microphylla var japonica 'Faulkner' is available as hedging plants to purchase on line. It is also available as clipped balls. Buxus microphylla var. japonica 'Green Jade' has nearly rounded bright green leaves. It is an open growing upright shrub. Buxus microphylla var. japonica 'Winter Gem' has a low spreading growth habit. The mid-green leaves are 20-22 x 12-15 mm and the annual growth rate is 60-110 mm. It is a useful landscaping shrub or hedging plant. 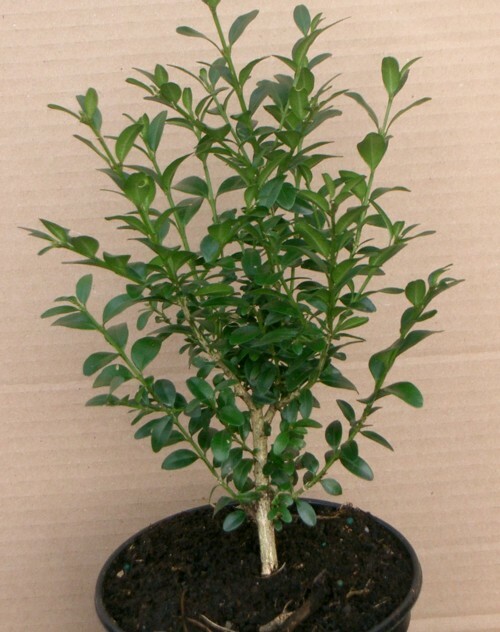 Buxus sempervirens is the most important species of box commercially. It is native to Europe, North Africa and from Turkey to the Himalayas. Many of the largest wild plants from the Black Sea area were harvested for timber in the 19 th century. The approximately 185 named cultivars show a wide range of growth habits and leaf colour and size. 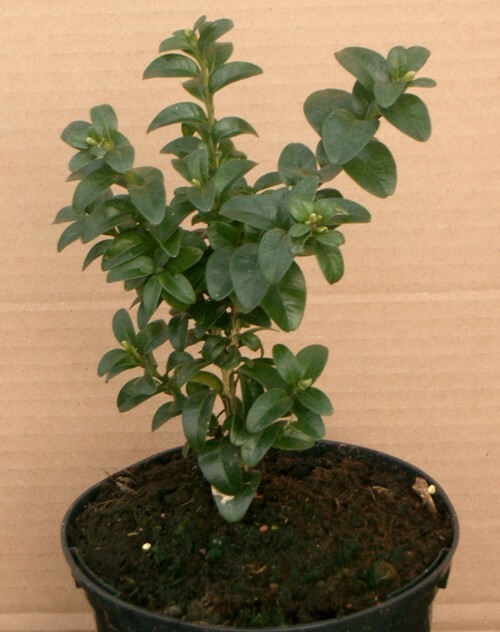 Buxus sempervirens 'Blauer Heinz' is a blue leaved dwarf box or edging box. It is has a similar growth habit to Suffruticosa, which suggests that the two would be suitable for contrasting colors in a box parterre. The leaves are tinged blue, especially on the new growth in Spring. The annual growth rate is 20-30mm. It can also be used for small topiary. 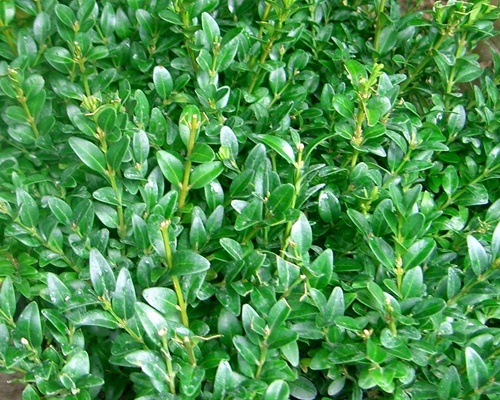 Buxus sempervirens 'Blauer Heinz'' is available as hedging plants to purchase on line. Buxus sempervirens 'Bordet' is a relatively vigorous growing bluish-leaved box with a dense growth habit. The leaves are dark green tinged with blue. Buxus sempervirens 'Bordet' is available as hedging plants to purchase on line. Buxus sempervirens 'Bowles Blue' is a relatively vigorous growing blue-leaved box with an upright growth habit. The blue colour develops best where the plant is grown in the shade. Buxus sempervirens 'Brilliantissima' is very similar to buxus sempervirens 'Elegantissima'. 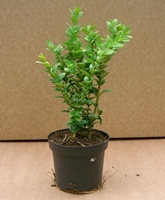 Buxus sempervirens 'Chateau' has persistent green leaves and a dense and upright growth habit. It looks fairly similar to buxus sempervirens 'Suffruticosa', although the leaves on Chateau are not quite as close together as on Suffruticosa. Buxus sempervirens 'Chateau' is available as hedging plants to purchase on line. Buxus sempervirens 'Elegans' is a beautiful slow to medium growing shrub. The dark green cream bordered leaves are 14-18 x 6-10 mm. The annual growth rate is 20-30mm. This plant is used for hedging and topiary, or as a beautiful specimen shrub. Buxus sempervirens 'Elegantissima' is a beautiful slow to medium growing shrub. The dark green cream bordered leaves are 14-18 x 6-10 mm. The annual growth rate is 20-30mm. This plant is used for hedging and topiary, or as a beautiful specimen shrub. 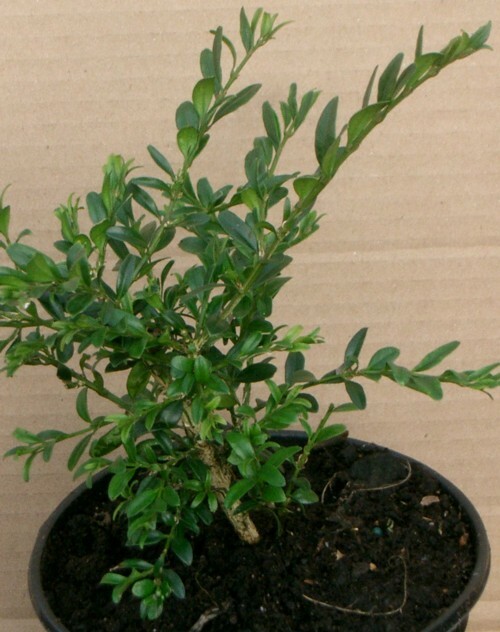 Buxus sempervirens 'Handsworthiensis' is a vigorous growing upright shrub, suitable for larger sized box hedging. The dark green leaves are 24-30 x 12-18 mm and the annual growth rate is 70-180mm. The larger un-trimmed plants grow to a candelabra shape. 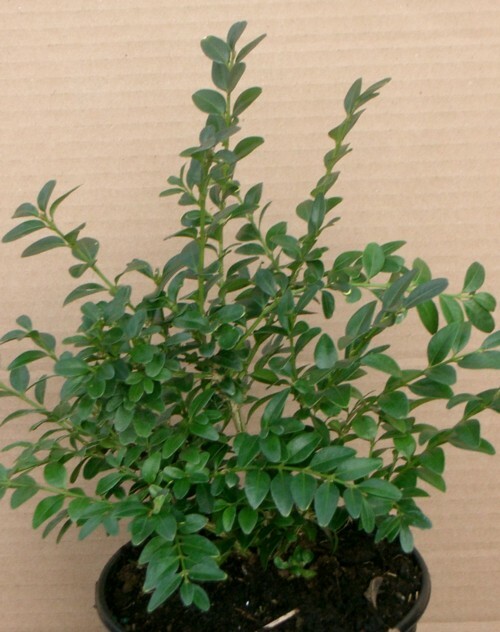 This plant is suitable for hedging or as a specimen plant. 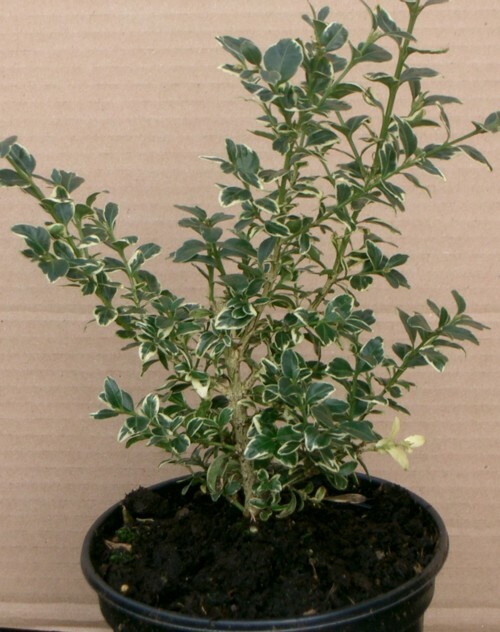 Buxus sempervirens 'Harewood' has a naturally bushy growth habit, dark green leaves and a medium growth rate. The leaves are around 15-20mm long and the growth rate about 10cm per year. It is a good plant for hedging, topiary or a specimen shrub. 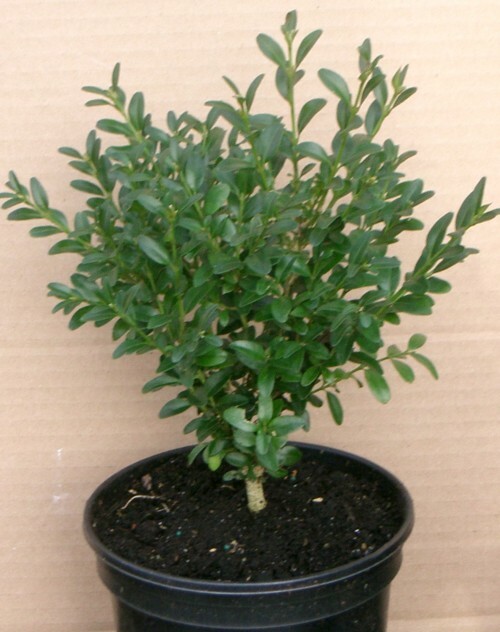 Buxus sempervirens 'Ickworth Giant' is a fairly fast growing upright shrub or small tree, with blue tinged leaves. The broad leaves are 20-25mm long, and the annual growth rate is up to 200mm. 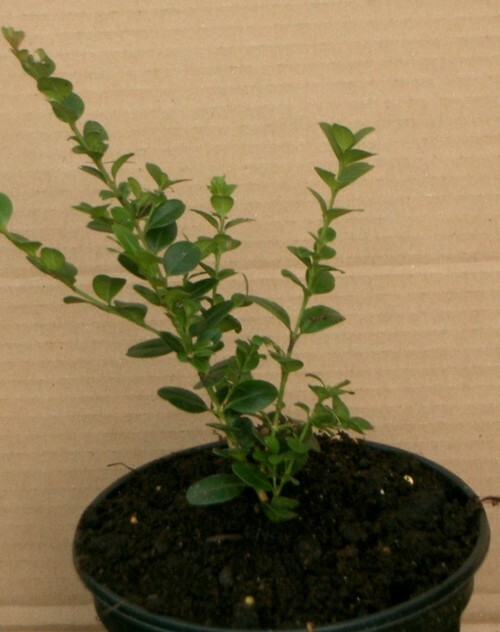 This plant is suitable for hedging or as a specimen plant. 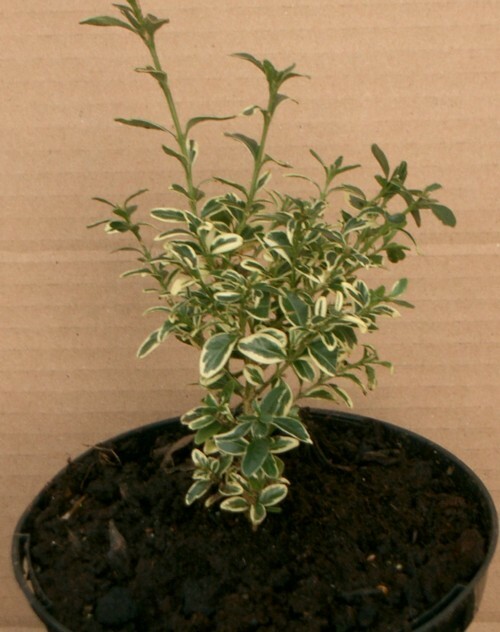 Buxus sempervirens 'Latifolia Maculata' is a unique spectacular golden variegated plant. The new growth in spring is bright gold variegated, and the colour of the leaves becomes more dark green later in the year. The leaves are about 25mm long nearly as wide as they are long. The annual growth rate is 70-130mm. This plant is useful as a hedging plant, or possibly larger scale topiary. 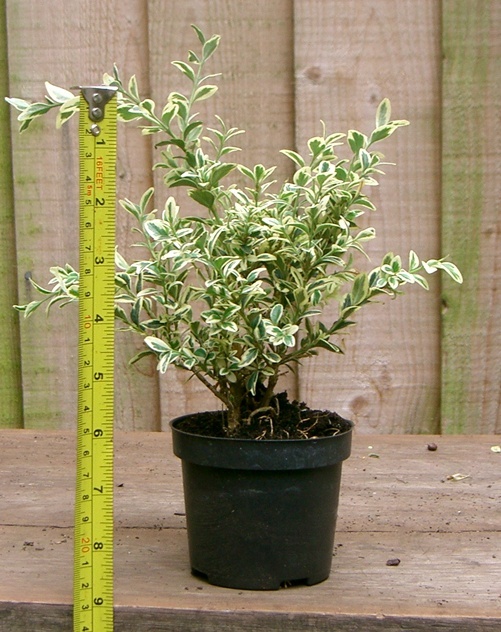 Buxus sempervirens 'Latifolia Maculata' is available as hedging plants to purchase on line. 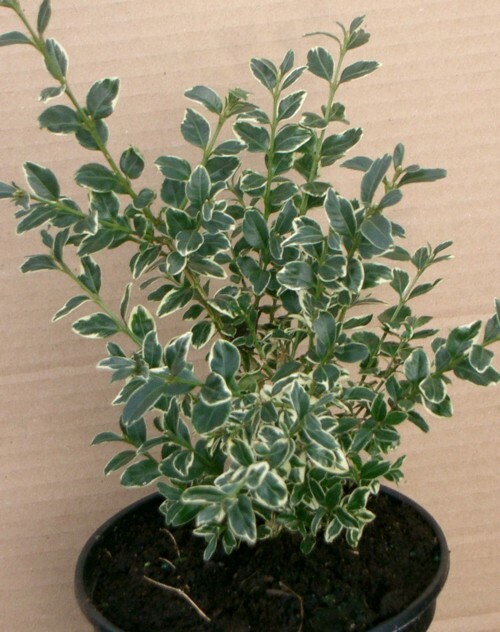 Buxus sempervirens 'Marginata' is a very handsome upright and vigorous golden variegated shrub. The distinctive 15-27 x 8-12 mm leaves are somewhat twisted, with gold to yellow margins and dark olive green centres. The annual growth rate is 50-100mm. This plant makes a very attractive specimen plant, or a large to medium size hedge. 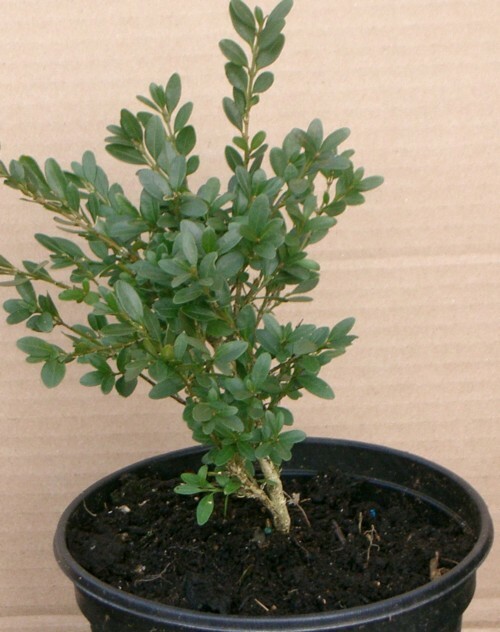 Buxus sempervirens 'Myosotidifolia' is a slow growing twiggy shrub with small leaves approximately 12 x 3 mm in size. The annual growth rate is about 150mm. It is suitable for hedging, topiary or a specimen plant. The common name is forget-me-not leaved box. 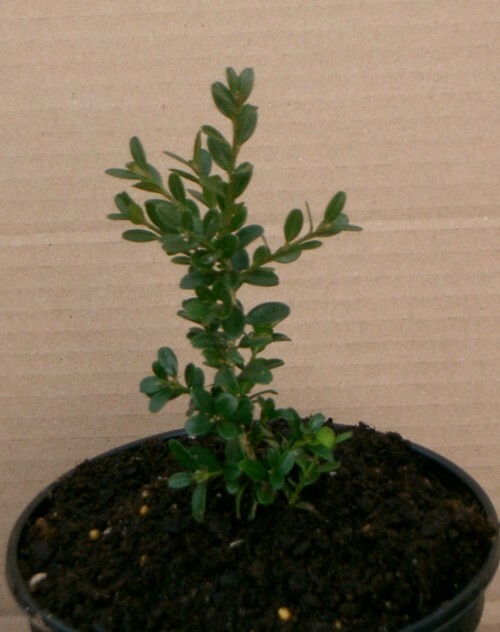 Buxus sempervirens 'Myrtifolia' is a slow growing, small leaved plant. It eventually grows to several metres tall. The dark olive green leaves are 6-18 x 4-8 mm and the annual growth rate is approximately 40mm. The common name is myrtle leaved box. It is suitable for hedging, topiary or a specimen plant. 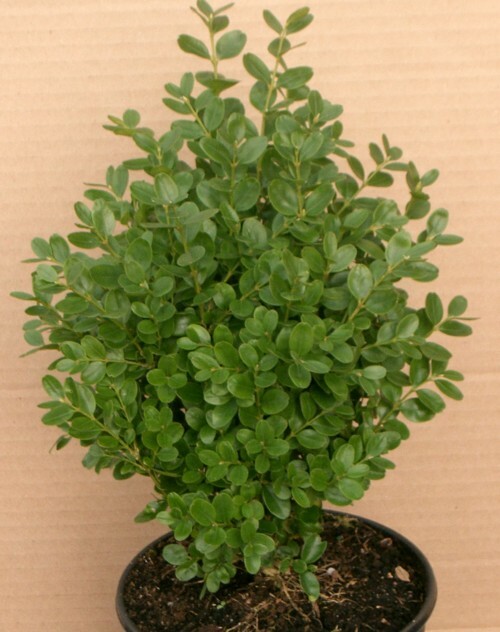 Buxus sempervirens 'Parasol' is a shrub or small tree with drooping branches. The narrow leaves are 15-25mm long and the annual growth rate is 75-120mm. It forms a low broad parasol shaped canopy, and is suitable for growing as a specimen shrub or small tree. 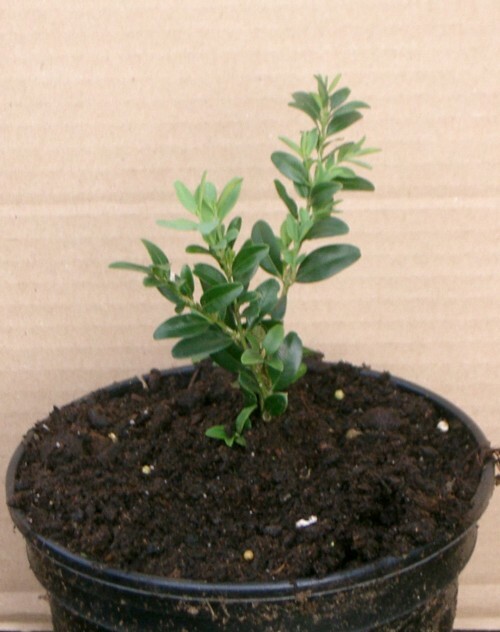 Buxus sempervirens 'Racket' is a fast growing box plant with an upright growth habit. The leaves are 20-25 x 9-12 mm, and are more pointed at the tip than most common box. The annual growth rate is up to 45cm (18 inches), although it may be less in some growing conditions. Raket is used for hedging and can also form a columnar shrub. 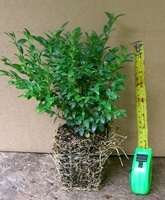 Buxus sempervirens 'Raket'' is available as hedging plants to purchase on line. Buxus sempervirens 'Rotundifolia' is a vigorous branched shrub. The nearly round leaves are 21-25 x 15-22 mm and the annual growth rate is 110-180mm. It is used for hedging, topiary and as a specimen shrub. 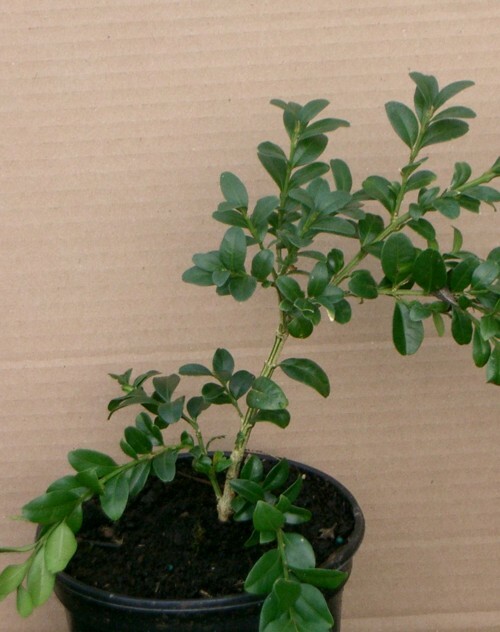 Buxus sempervirens 'Rotundifolia'' is available as hedging plants to purchase on line. Buxus sempervirens 'Silver Beauty' is very similar to buxus sempervirens 'Elegantissima'. The dark green cream bordered leaves are 14-18 x 6-10 mm. The cram colour on the leaves is a little darker than in 'Elegantissima' The annual growth rate is 20-30mm. This plant is used for hedging and topiary, or as a beautiful specimen shrub. Buxus sempervirens 'Suffruticosa' is the popular dwarf box or edging box, which is often used for planting parterres and low hedges. The leaves are 15-20 x 9-12 mm, and are more rounded than most common box. Also the leaves are closer together on the twig, making the growth more dense. The annual growth rate is 20-35mm. Suffruticosa is used for hedging and topiary. 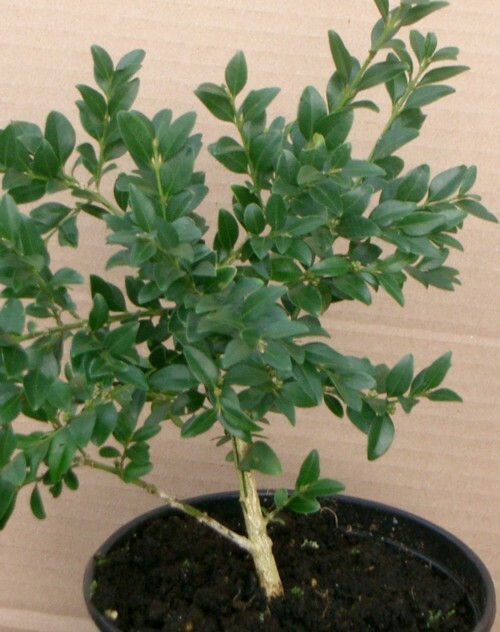 Buxus sempervirens 'Suffruticosa' is available as hedging plants to purchase on line. 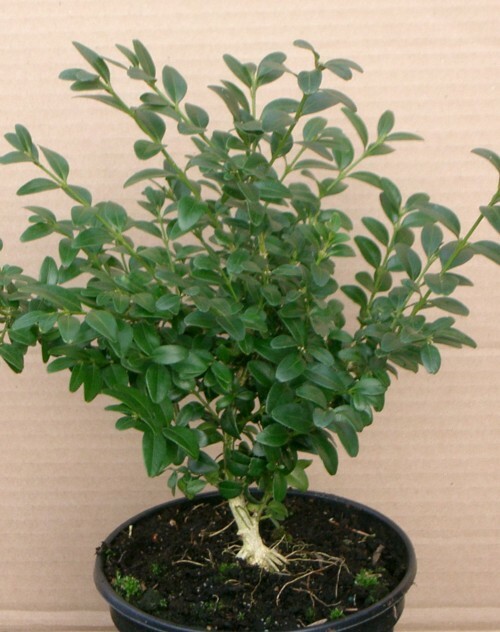 This variety of buxus sempervirens produces a naturally very compact and rounded medium sized shrub. The growth is quite dense, in a similar way to Suffruticosa, although the leaves are more pointed than on Suffruticosa. The new growth is often lime green, although the leaves age to a typical dark green. The annual growth rate is about 30-50mm. This plant is very suitable for small to medium sized hedges and topiary balls. 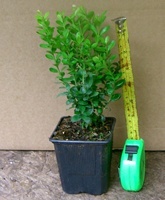 Buxus sempervirens 'Zamek' is an upright growing version of common box. 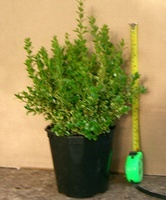 Buxus sinica var. insularis grows wild in Korea and parts of China, and is commonly known as Korean box. Its exceptional cold-hardiness has enabled the area of North America where box plants are grown to be significantly extended. 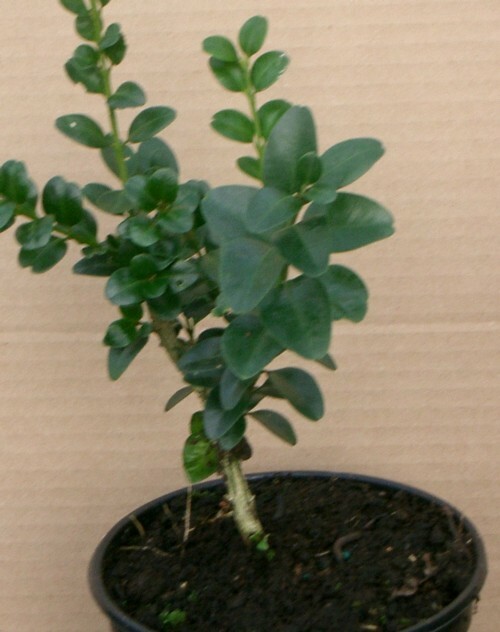 The leaves are generally more widely spaced on the twig then on buxus sempervirens. The plants are usually at least as wide as they are tall. Buxus sinica var. insularis 'Tide Hill' is a very attractive low-growing, spreading variety of box. It is very compact, grows wider than tall, and the annual growth rate is about 25mm. The leaves are around 13x5mm. It is useful as a specimen plant or very low hedge. The very slow growth rate and small leaves should also make it suitable for bonsai. Buxus sinica var. insularis 'Wintergreen' has small bright green leaves 10-14 x 5-7 mm in size. The annual growth rate is 40-90mm. This is an excellent hedge plant, especially in very cold areas. Most buxus hybrids have been developed in the USA since 1990, with the objectives of improving the cold hardiness and reducing the tendency of box foliage to become bronze coloured during cold weather. The three hybrids below were all selected from a crossing of buxus sempervirens 'Suffruticosa' and buxus sinica var. insularis in the USA in the 1960's. 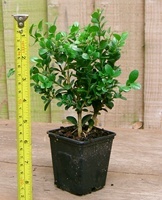 Buxus 'Green Gem' naturally grows to form a small rounded shrub about a metre in diameter. It has small narrow leaves (10-20 x 5-7 mm) and slow growth of 30-50mm per year. This is a good plant for low hedging or topiary balls. Buxus 'Green Mountain' is a rather more vigorous and upright plant, which forms a hemisphere or pyramid. The dark green foliage is 16-19 x 8-10 mm and the growth approximately 50mm per year. This is a good plant for a hedge or a specimen. 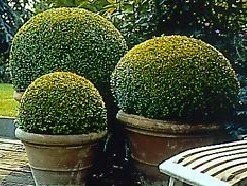 Buxus 'Green Velvet' is also a natural ball shape. The mid-green leaves are 15-19 x 7-8 mm and the growth rate 30-60mm. This is a good plant for low hedging or topiary balls. Buxus 'Green Velvet' is available as hedging plants to purchase on line.